Shake N Bake is a 42’ Henriques Express. We scoured the country looking for the world’s best tuna boat. 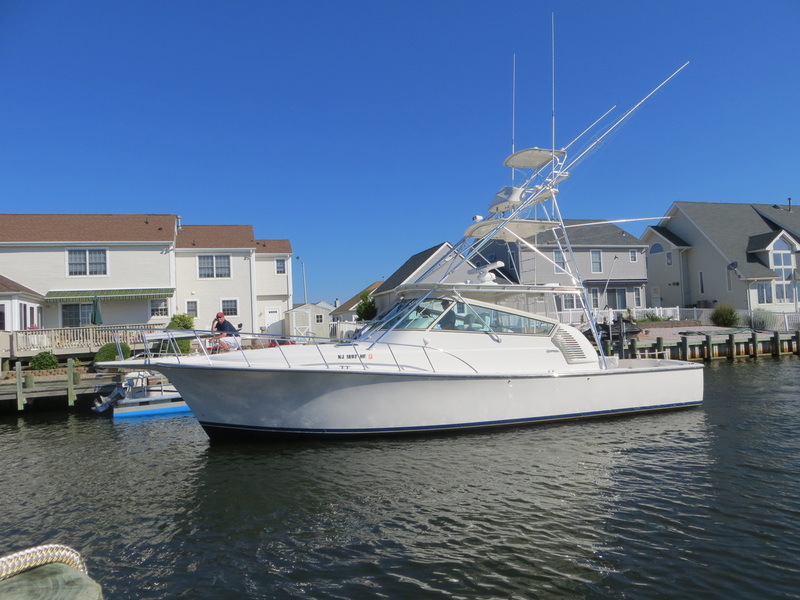 We talked to east coast tuna captains and virtually everyone said Henriques was the best boat. We went to the factory in New Jersey and met with the owner of the company and saw the building process and were convinced. 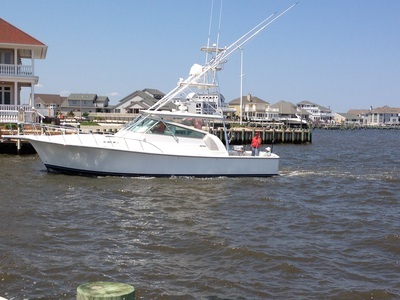 A Henriques 42' Express is the ultimate tuna charter boat. 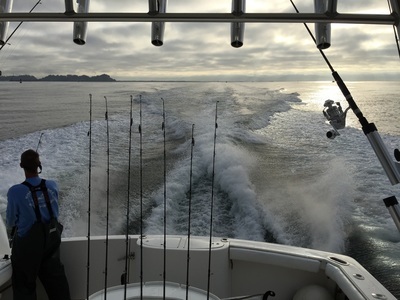 It was not convenient or cheap to bring a boat from New Jersey to Ilwaco, Washington, but we wanted the best tuna charter boat on earth for the best charter fishing experience. 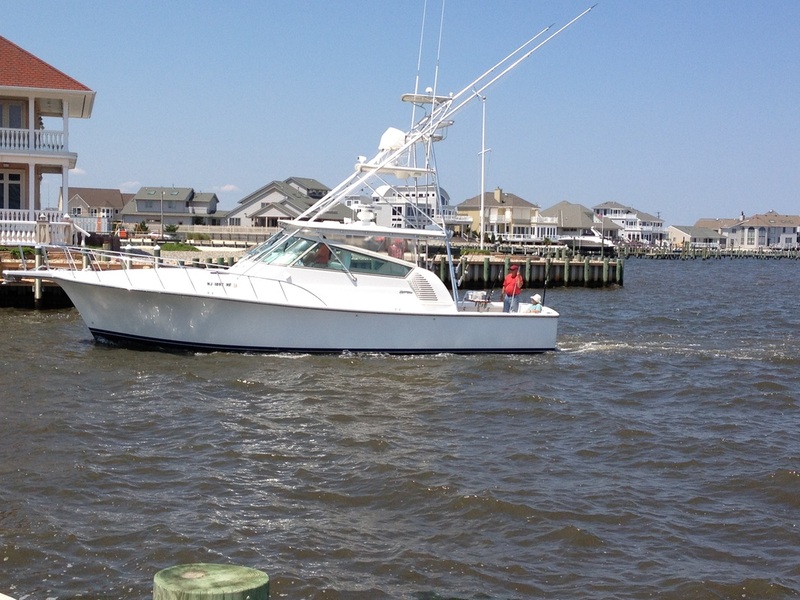 After spending two months and over 4,000 miles on the ocean, I am pretty sure this is the best 42' tuna boat ever made. Since we got her home to Ilwaco, Washington, we have fished in all sorts of weather. The ride is nothing short of amazing. We have yet to encounter seas off of the Columbia River that we could not cruise in comfortably at 20 knots. 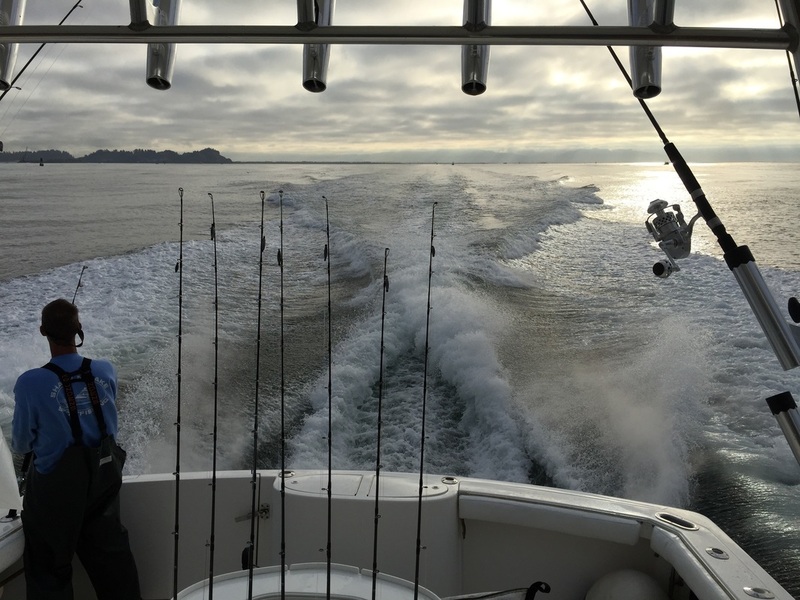 Most days we cruise around 25-27 knots, so you get more time to fish. 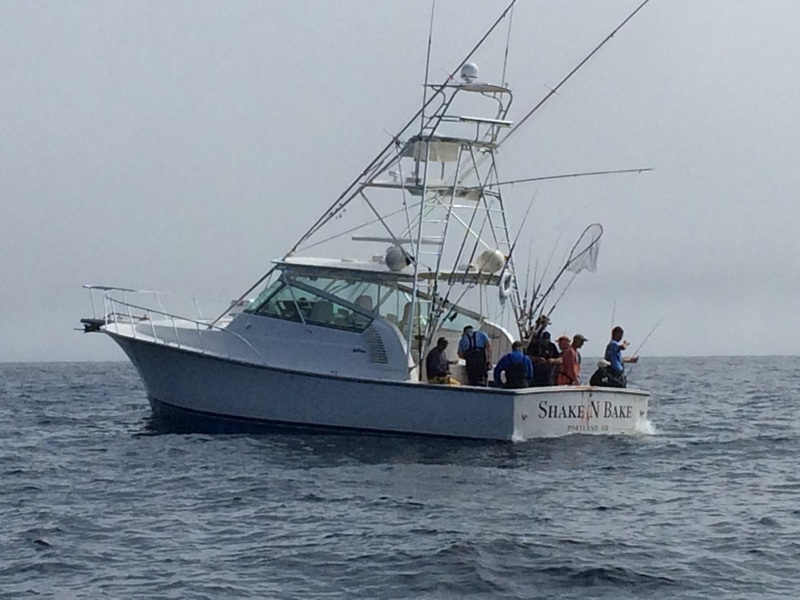 Henriques are custom made sportfishing boats designed for east coast tuna trips where 90 mile runs and two day trips are not unusual. 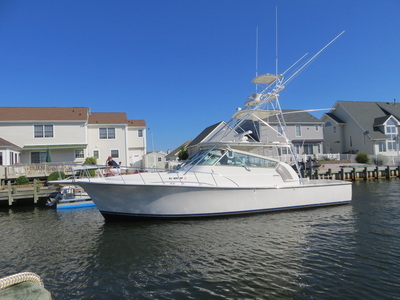 The Henriques 42' Express is fast, rugged, and comfortable. It takes a pretty rough day to keep her tied to the dock. We can fish comfortably on days when very few boats can leave the dock. Shake N Bake is powered by two state of the art CAT C-12 diesels. This means she is fast and that there is virtually no diesel smoke or diesel smell that is associated with most diesel boats. What sets Shake N Bake apart from most sport fishing boats is the size of her cockpit and her fish boxes. 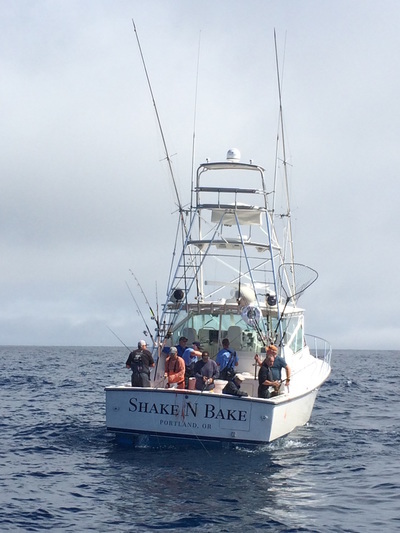 Shake N Bake has a 155 square foot cockpit, which is bigger than many 60 footers. Shake N Bake also has two livewells. 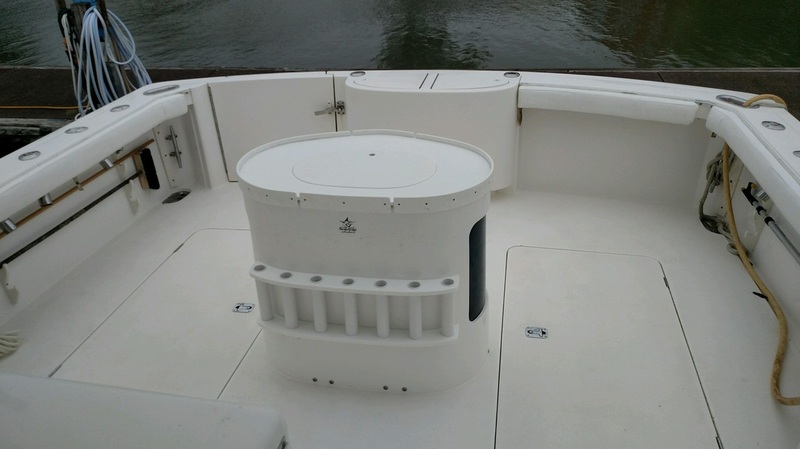 She has a custom 100 gallon livewell in the center of the cockpit and a smaller one built into the transom. Live bait catches tuna, so we carry a lot of it. 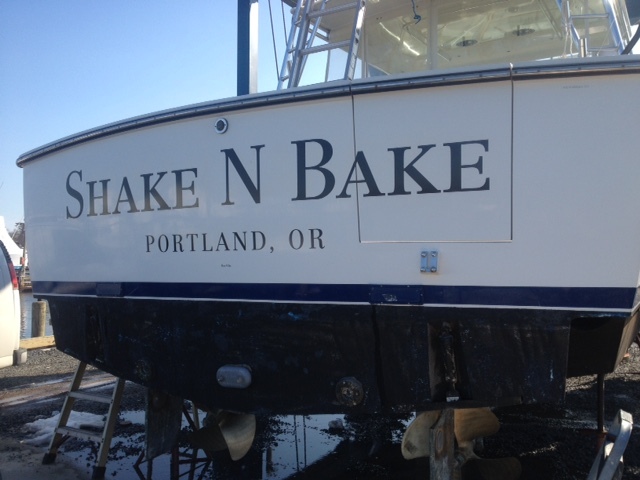 Shake N Bake also has two 100 gallon, refrigerated fish boxes to keep you fish in top condition. The fish boxes are cold enough to freeze saltwater (they get down to -5 degrees), so we put your fish in a saltwater slurry to get them cold right away so you get the best quality tuna. She is fast, seaworthy and comfortable, featuring seating for 10 and 3 Stidd helm chairs. She has a fully enclosed bridge deck and has heat and AC to keep you comfortable. She has a large, modern head that is roomy and easy to use. She has a large, refrigerated drink box to keep all of your drinks ice cold. Thanks to our Raymarine Pro-Staff status she has the best electonics of ANY charter boat in the NW. 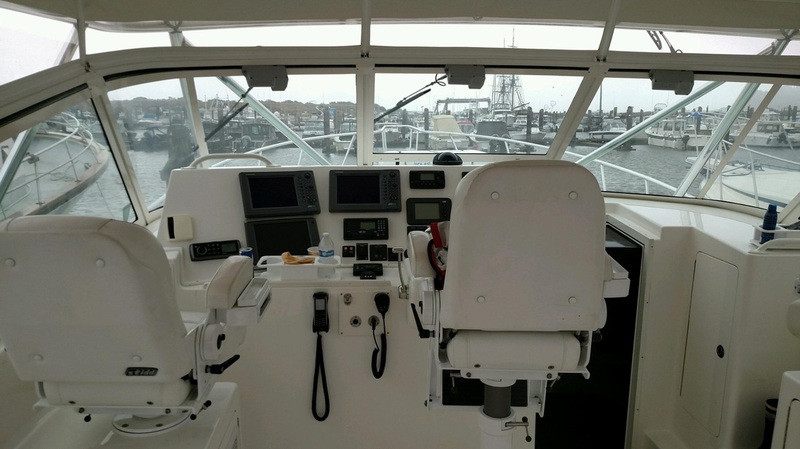 We upgraded her with all new Raymarine electronics, including a Raymarine 6' open array radar, and both CHIRP sonar and Raymarine Downvision. We also have a sonar display in the cockpit as well as a fixed mount Raymarine HD camera to record the action- if you bring an SD card, we can record the day's action for you. 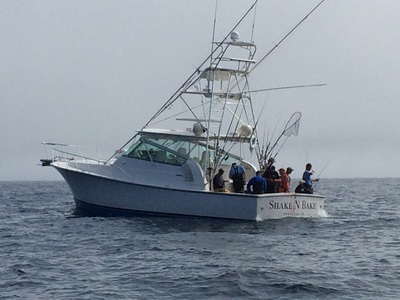 You will not find a faster, more seaworthy, more comfortable boat to chase tuna on.